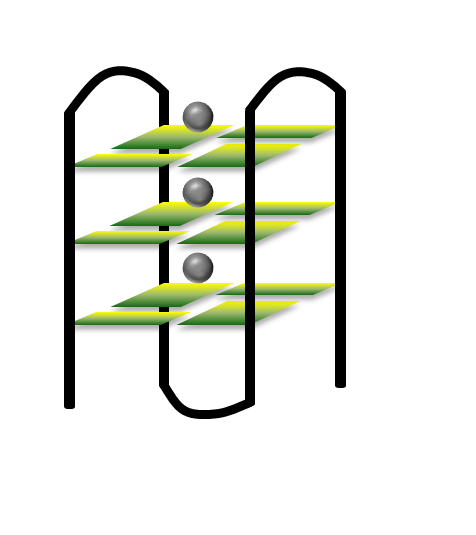 Guanine rich DNA strands, as those encountered at the extremities of human chromosomes, have the ability to form four-stranded structures (G-quadruplexes) whose building blocks are guanine tetrads. G-quadruplex structures are intensively studied in respect to their biological role, as targets for anticancer therapy and, more recently, to their potential applications in the field of molecular electronics. We have shown that self-association of guanines gives rise to exciton states. As a consequence, ultrafast excitation transfer takes place within G-quadruplexes. Self-association of guanines slows down the fluorescence decays and increases the fluorescence quantum yield. The relaxation of ππ* states toward lower energy charge transfer excited states, involving guanines on different tetrads, depends on the nature cations in the central cavity; it is facilitated by Na+ ions, which are smaller and more mobile compared to K+ ions.